Fox Galleries is proud to present Ruin Nation by Singapore based artist Merryn Trevethan. Collapsing space and intensifying colour, Trevethan’s urban landscapes delineate the impact of technologies on perception. In Ruin Nation horizons vanish behind implausible structures that tower into the sky as monuments to nothing. Countless windows seem to manifest both the aspirational vision of the megacity while evoking the constant surveillance of the panopticon. 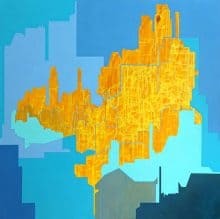 Referencing the dystopian environments of Ridley Scott’s Blade Runner, Ghost in the Shell and Fifth Element, and channeling imagery evoked by George Orwell and Haruki Murakami, these works reflect the experiences of life in increasingly globalised cities dominated by the digital and flooded with information. They capture our collective mental and emotional disorientation at a time when a constant state of flux is the new status quo. These works reflect a reality shaped by the unwavering flatness of screens, by the endlessness of feedback loops and the manifest insanity of provable falsehoods, a world where propaganda machines have been replaced by fake news. Where we are willingly complicit in a global siege mentality generated by a world of unstoppable news feeds, instant messaging and live stream everything. A world of filter bubbles and constant surveillance. A world seemingly governed by algorithms, a dizzying pace of instantaneous transactions and unfathomable amounts of data. A world in which our real world selves have collapsed in the digital; where nothing is certain and our field of vision is forever shrinking. Where nothing is seen in isolation. Everything is relational and we are never offline. 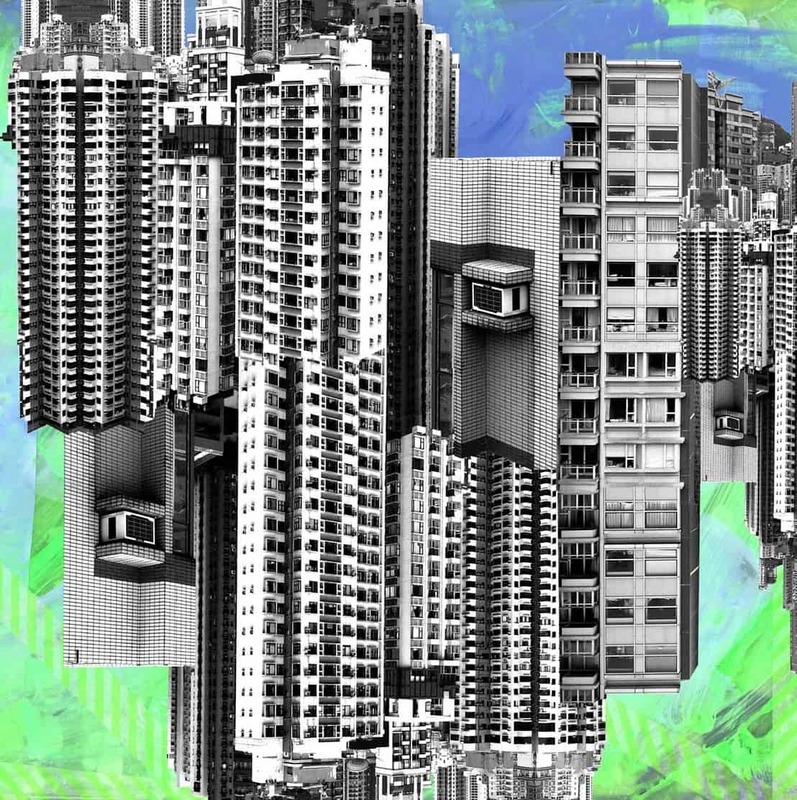 Here the city is envisioned in all its labyrinthine perplexity, revealing the complex social, economic and environmental implications each embodies. Using titles that reference Italo Calvino’s 1972 Invisible Cities, Trevethan invites us to relate to and be critical of our own surroundings by immersing us in speculative cities just beyond our own realities.